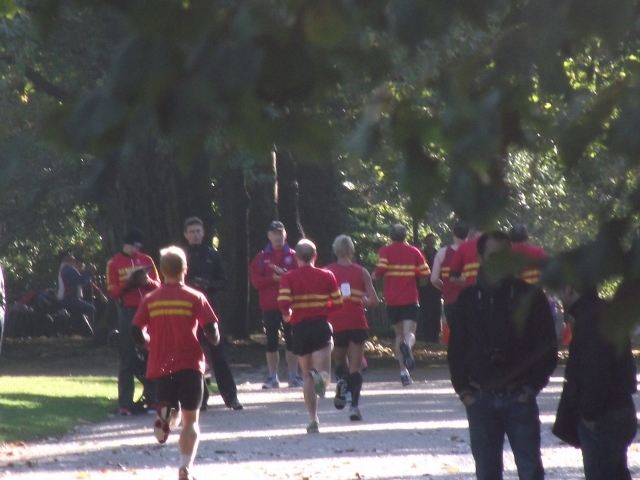 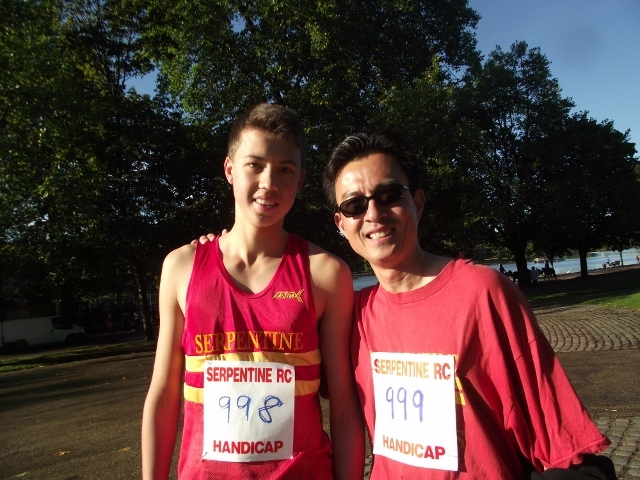 Tony and Gus were scratch runners in the Serpentine 7K handicap in Hyde Park - London. 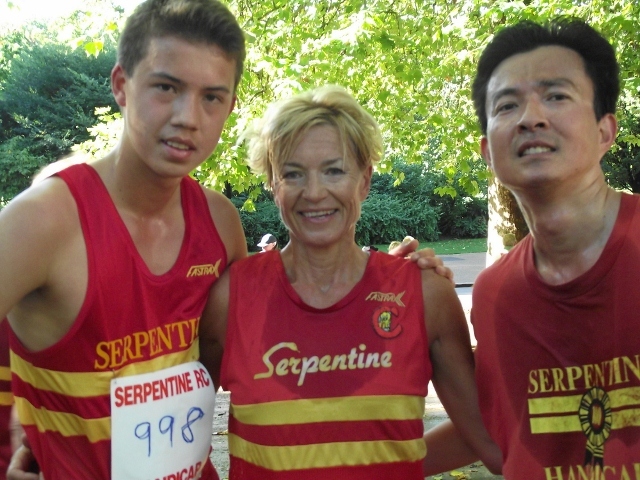 This was Caroline's running club for 11 years, until 2000, so she had a genuine race number! suffering from too much holiday! Gus, Caroline and Tony post-race on a sunny and brisk London morning. 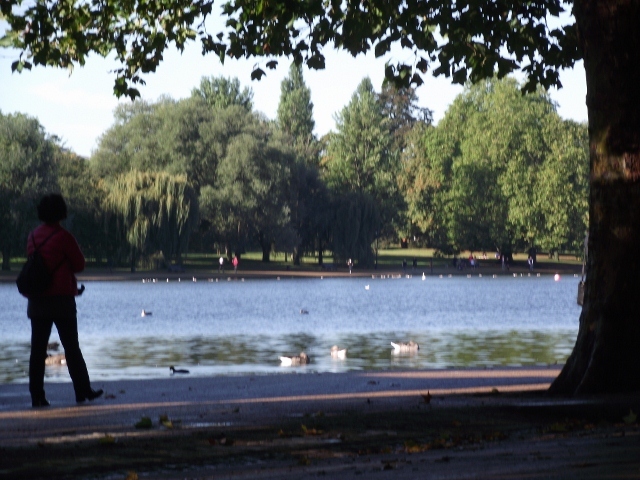 The Serpentine Lake - part of the scenic 7K course. The general scene coming up to the finish.